Chris Sale and David Price are likely to start for the Red Sox in the first two games of the American League Division Series against the New York Yankees or Oakland Athletics at Fenway Park. Games 1 and 2 are set for Oct. 5 and 6 and the two left-handers are in line to make those starts -- both chasing the first postseason wins (as starters) of their proud careers. Club president Dave Dombrowski revealed on MLB Network Radio that Sale will "be scheduled to start (the opener), I don't think it'll surprise anybody, the first day of the postseason. I don't mean to usurp anybody's announcements, but I think it's one of those that have been pretty clear." Price is a sure bet to start Game 2, especially if it's the Yankees, thus keeping him from pitching at Yankee Stadium, his house of horrors. If Oakland is the opposition, the door would be open to break up the lefties by having Rick Porcello throw in Game 2. For now, it's all about getting tuned up, and after Tuesday night's game was rained out, Price will start the opener of Wednesday's day/night doubleheader and Sale will work the nightcap. The Orioles, who have already tied the franchise record for losses in a season, will counter with rookie Ryan Meisinger (2-0, 4.50 ERA) in the opener with the Game 2 starter yet to be determined for the starter-short Orioles, who can't get to Sunday fast enough. Jimmy Yacabonis had been scheduled to start Tuesday. Price is 2-8 lifetime in the postseason. But both wins came in relief, where the left-hander has done some dynamic work over the years. Sale was 0-2 with an 8.38 ERA in two starts against the Houston Astros in last year's ALDS. There has been talk -- all from the outside -- of Price again working out of the bullpen, but there was no indication that would happen. Sale (12-4, 2.00 ERA) is working his way back from two stints on the disabled list from left shoulder inflammation. He has built up from 26 to 42 to 73 pitches, and the hope for this outing in 90-plus. On Monday night, the Red Sox recorded their franchise-record 106th win and locked up home field advantage throughout the postseason with a 6-2 victory over Baltimore. 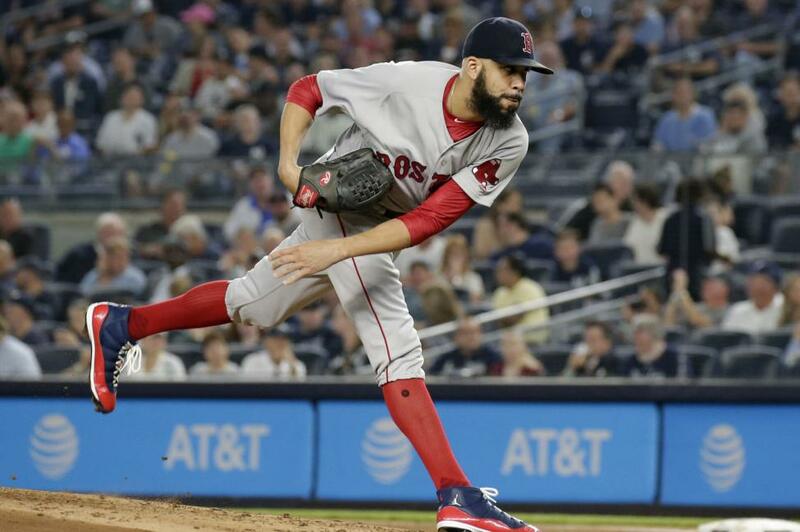 Price, who has more trouble pitching in Yankee Stadium than he does anywhere else, suffered his first loss since the All-Star break last time out, allowing three homers in 5 1/3 innings in a loss to the Yankees. That dropped Price to 5-1 since the break. Price, 15-7 with a 3.53 ERA overall on the season, is 2-0 against the Orioles in 2018 -- two earned runs, 18 strikeouts in 15 innings -- and 14-5 with a 2.67 in 27 career starts against the Birds. Sale is 2-0 with a 1.13 ERA in three starts against Baltimore this season, 7-2 with a 2.49 lifetime. Nathan Eovaldi, in line to start Game 4 of the ALDS, was the winner Monday (10 strikeouts), saying, "I definitely feel like we're the team to beat." As far as the club breaking a record that was set in 1912, manager Alex Cora said, "It's unreal. You think about the history of the game and the history of this franchise. To be part of this, I can't even explain it. Obviously it's something where we should call time out and enjoy this one." Monday's loss was Baltimore's 111th, which ties the 1939 St. Louis Browns for the most in franchise history. Adam Jones, who refused a deal that could have sent him to a contender at the trade deadline, electing to play out his contract with the Orioles, was in left field Monday night -- his first time at the position since Sept. 30, 2007. He was a Seattle Mariner at the time. "It's coming to an end here. The season ends. My contract ends," said Jones. "I'm an optimistic person. You never know what could happen. You always got to keep your options open." Yefry Ramirez, in line to start Wednesday's finale, won't make that appearance because of a cut on his hand. The Orioles are hoping to see him pitch before Sunday's season finale. The Red Sox are 15-2 against the Orioles this season.